Finished a race in solo mode. Won your first race in mass start mode. Finished a complete lap of the Snaefell Mountain Course. 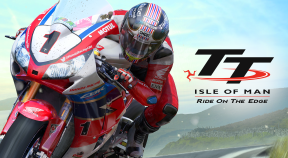 Completed the Supersport TT or Superbike TT in Career Mode. Won the Supersport TT or Superbike TT in Career Mode. Won the Supersport TT or Superbike TT in Career Mode 3 times. Finished a complete lap of the Snaefell Mountain Course without any collisions. Bought a bike of each model. Won a total of £1,000,000. Won all the races in an event, including several stages. Won 5 events in Career Mode. Won 10 events in Career mode. Won 25 events in Career mode. Rode 1,864 miles (3,000 km). Recorded the highest speed in a Superbike race. Recorded the highest speed in a Supersport race. Recorded the highest speed at the TT with the official rules. Finished a complete race in helmet view. Finished a race on all the circuits at least once. Finished a race at each time of day. Won the TT in less than three years in Career mode. 206mph (331 km/h) and beyond! Beaten the top speed during a race on Snaefell Mountain. Made your first pit stop. Won 10 TT races on the Snaefell Mountain Course.